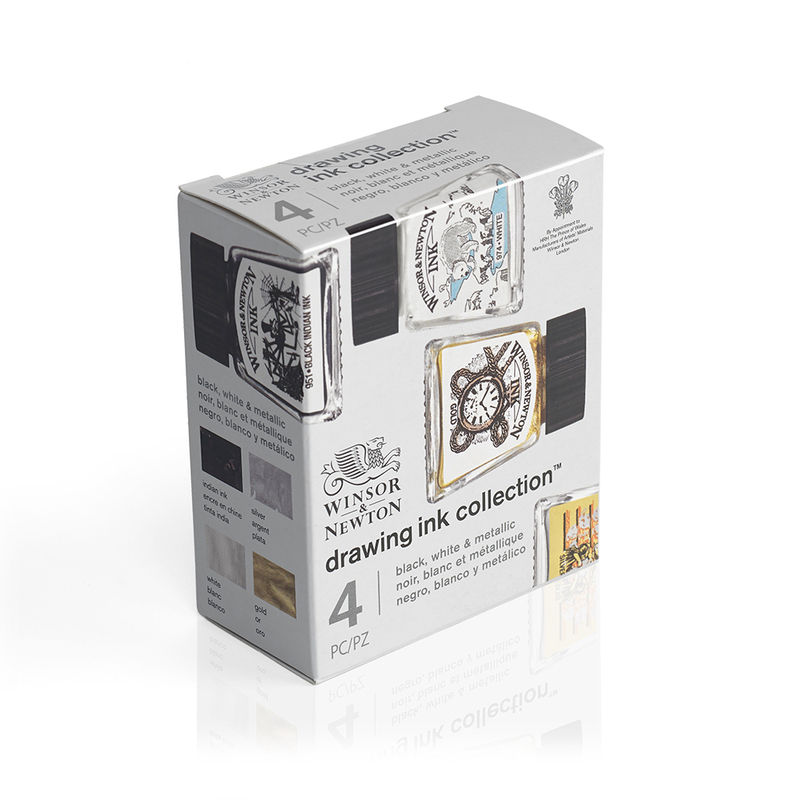 This beautifully presented set of 4 Winsor & Newton Drawing Inks contains four 14ml inks in Gold, Silver, White and Black (Indian Ink). 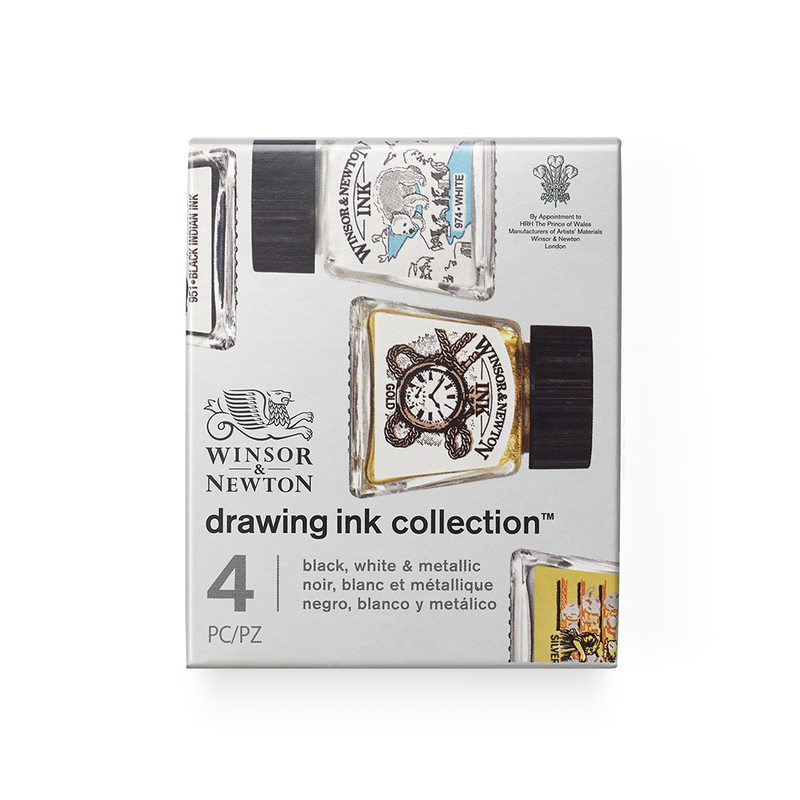 Winsor & Newton Drawing Inks are made from a formulation of soluble dyes in a superior shellac solution. This collection brings together 4 popular colours each in an iconic illustrated drawing ink bottle. 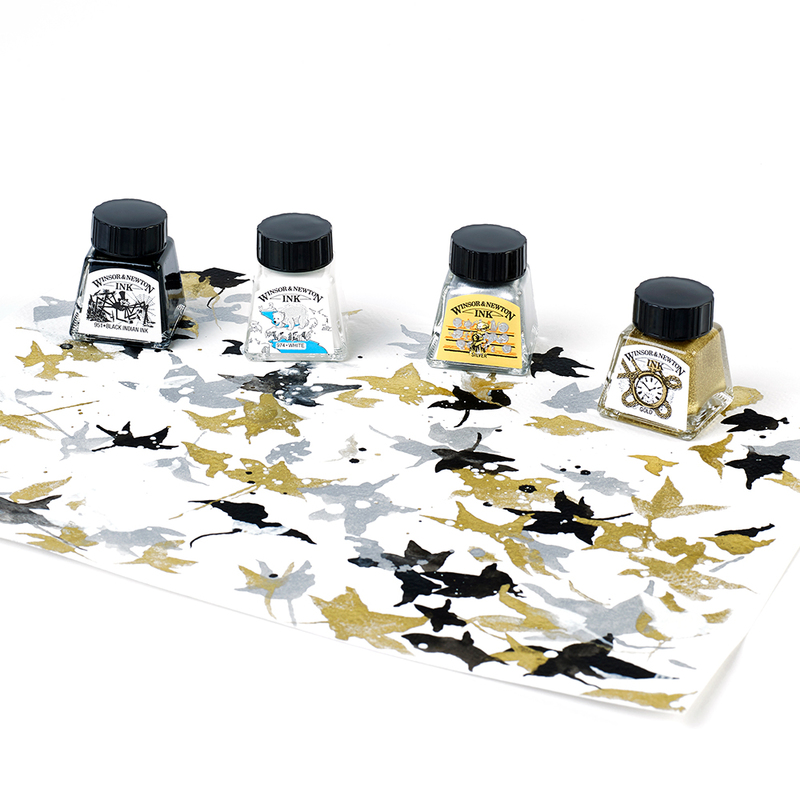 Particularly popular with calligraphers, illustrators and designers, these inks offer brilliant, fast drying colour and have excellent adhesion on most sized surfaces. When wet they can be easily diluted and are fully intermixable - when dry they are water resistant. 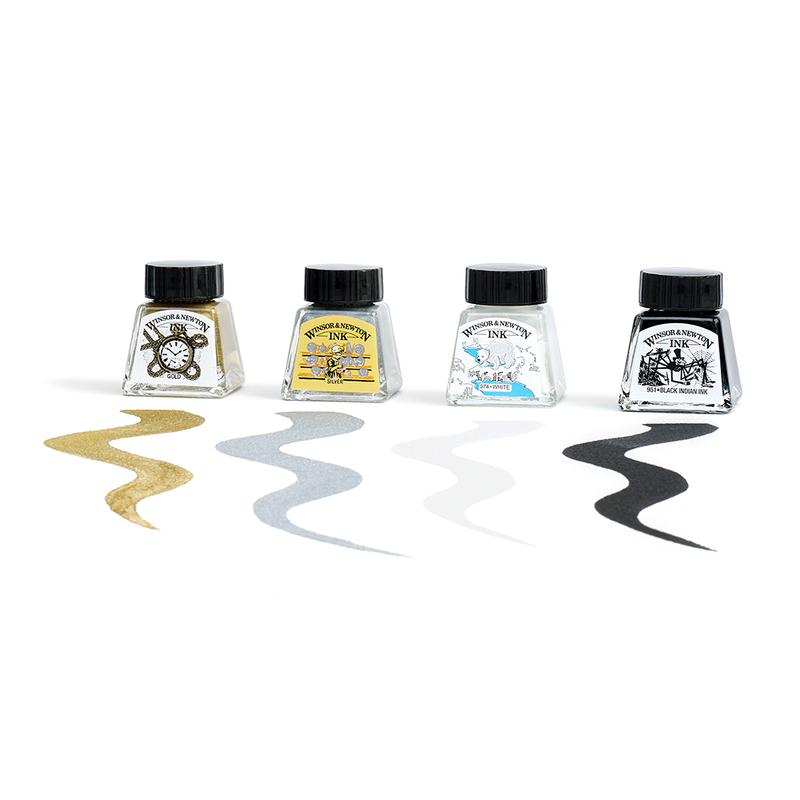 Unlike other inks from this range the metallic, black and white inks offer good lightfastness. 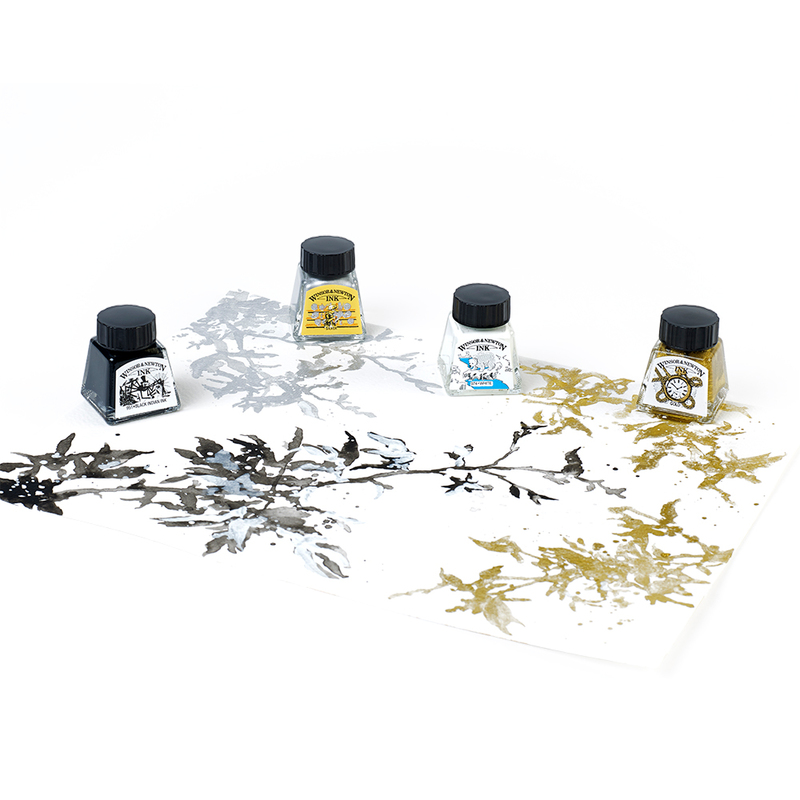 These inks can be applied using various methods; try them with a brush, dip pen or airbrush for different techniques.